1. Fill out the Event Request Form and select the theater, date, & time. 2. After theater approval, your Event Page can begin reserving tickets. 3. Share the event with your network and confirm your screening by selling enough tickets before the deadline. 4. Enjoy the Show with your friends, family and community! 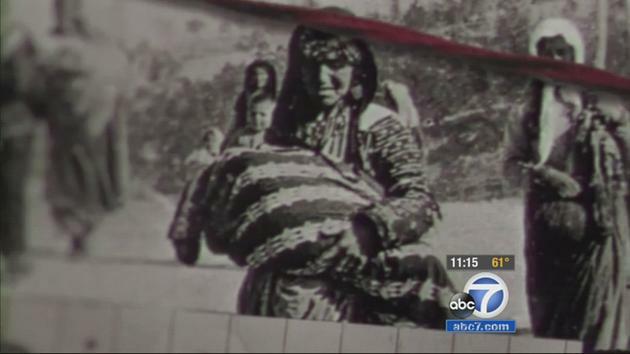 In 1915, under the cover of a world war, millions of Armenians were quietly taken out of their homes and marched to their deaths in the deserts of Ottoman Turkey. Their towns and villages were burned to the ground. Their churches were dismantled, too; the crime was to be denied forever. It was a crime so new, it did not even have a name. Those who escaped 1915 tried to find new lives across the world. Many survivors, like our great-grandparents, never spoke of what they had seen. But some nights, we would hear them crying and screaming in their sleep. In April 2015, millions of Armenians across the world commemorated the 100th anniversary of those nightmares—what historians now call the Armenian Genocide—the first genocide of modern history and the blueprint of the genocides that followed: the Holocaust, Rwanda, Cambodia, the Sudan. They marched in commemoration but also in protest against the silence, indifference, and ongoing denial that have fueled an entire century of genocide. Our movie takes place one hundred years after 1915, on the other side of the world. It is about denial: what happens when the past is ignored; what happens when it is confronted. It tells the story of a man who is on a mission to bring the unrecognized ghosts of 1915 back to life. With the centennial of the Armenian Genocide upon us, we are ready to face the past together. Simon Abkarian has mesmerized the world as an internationally acclaimed film and stage actor. He has starred in more than 30 films, including YES, CASINO ROYALE, ARARAT, THE CUT, and GETT. Abkarian has won the Moliere Award – the highest honor of the French theatre. Angela Sarafyan launched into the global spotlight with her role as the vampire Tia in THE TWILIGHT SAGA: BREAKING DAWN PART 2. Among many unforgettable roles in film and television, she most recently played opposite Marion Cotillard in THE IMMIGRANT. Sam Page has delivered extraordinary performances in AMC’s Golden Globe and Emmy Award-winning MAD MEN, the worldwide phenomenon DESPERATE HOUSEWIVES, and the Netflix original series HOUSE OF CARDS with Kevin Spacey and Robin Wright. International phenom Nikolai Kinski has performed in a series of acclaimed films (including KLIMT, AEON FLUX, YVES SAINT LAURENT, and the forthcoming remake of POINT BREAK) ever since his first role alongside father Klaus Kinski in Paganini at the age of 11. Jim Piddock, an actor, writer, and producer, is a transatlantic fixture of the screen and stage. He was most recently the co-creator (with Christopher Guest) and co-star of HBO's FAMILY TREE. The youngest member of our cast, Sunny is a natural actor and rising star—making appearances in RUINS (2013) and THE UNSPOKEN (2015). Debra Christofferson is best known for her astonishing role as the bearded lady in HBO’s cult-favorite series CARNIVALE, and has made her mark in several other shows and films, including AMERICAN HORROR STORY. 1915 The Movie in Rolling Stone magazine! and allow us to send you exclusive updates from 1915.